I read the first few chapters of “Fifty Shades” (maybe because I want to write romance and erotica, and I need to keep tabs on the competition...lmao) and found it to be just as laughable as readers warned me, but I have to admit I have a soft spot for Dan Brown's popcorn cack. I've reread a few of his books because I found them entertaining, just the same as I've re-watched the first Avengers movie several times. It's nice to switch your brain off and enjoy some mass market nonsense every once in a while. Entertaining, like the previous instalments in the series. 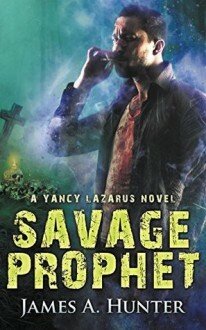 The author’s upped the ante when it comes to grit and violence, reflecting the increasing stakes: Yancy now has to face his own inner demon (literally) on top of the looming menace of the Savage Prophet, old enemies surfacing again, and his own people who don’t see him in a very good light. Good thing, then, that he can still count on Ferraro, as well as on the new addition, Darlene, who may not be a great fighter, but has aces of her own up her sleeve. However, this book felt more like a filler: a lot of action, but comparatively little character development. In spite of all that happened, especially at the end of volume three, Yancy is still pretty much the same as in all the other books, when I would’ve expect an evolution of some kind. (I don’t want such a character to start moping and be completely broken, for sure, but I didn’t feel much difference between Yancy from book one and Yancy from book four, all things considered.) I admit I ended up skimming over some scenes. Conclusion: 2 / 2.5 stars. I had trouble at first to get into this book (I don’t know why, the first paragraphs felt strange? ), however the feeling vanished after a while, once I got used to the narrative style. The narrative is indeed somewhat specific, in that the chapters seem to me like they mirror episodes from a TV series, with the search for Hartley being the ‘season arc’, and the chapters often revolving around ‘side quests’. This turned out to be both interesting and a weakness. Interesting, because it’s a format I don’t see that often in books; a weakness, because it forced the chapters into a pattern that works on screen, but not so well on books (especially since here, most of the time it was about the sisters finding clues and rushing into a trap). So we had both an overabundance of side plots, but at the same time these plots were discarded after their ‘episode’, and in turn the main narrative was the only real one in the book. I also enjoyed the relationship between the sisters. Tala first appeared as annoying, but redeems this aspect thanks to her strong loyalty to her family. Same with Aiva, who at first looked like she had taken the easy way out for no reason, but turned out to have one (or at least, a trauma explaining her decision), and then focused back on her family when it became really important. Last but not least, while there were a couple of potential love interests throughout the book, the story remained focused on family relationships (including Owen), and I was glad it didn’t devolve into the typical ‘urban fantasy that is in fact an excuse for some shoddy paranormal romance’ (UF and PNR are two different genres for me, you can tell which one I favour…). I do regret not seeing more about their relationship with Hartley. All we know about the younger sister is that she’s a paranormal investigator and has a gambling problem, but since she was never seen interacting with her sisters before she vanished, it was difficult for me to really care about her, about what motivated her search, and more importantly, to understand her decisions and her exact plan. It also raises the question of what exactly will happen after that: so there was that huge plan in motion for years, and… Now what? What will the sisters do with their inheritance after that? Another problem were the action/fight scenes (and there were quite a few), which I found a little too ‘descriptive’, and as such didn’t have enough impact. I didn’t have trouble to imagine them, but I didn’t feel the tension, the adrenaline, so to speak. The writing in general was okay-ish, and didn’t thrill me. Conclusion: 2.5 stars. It’s not the most original story or world ever, and the writing has just as many good as bad points. I may still be interested in checking out the next book, though, if only to see what the consequences to this series of events will be. I had read "The DaVinci Code" a very long time ago, around the time the movie came out. I recently found this book and used the audio to help me get through the book quickly ("reading" in the car or while knitting). I was a bit shocked to learn that this was Robert Langdon's book #1. He is called to Cern to help find what had been stolen from the Cern in Switzerland and where it had been taken and who had taken it. A scientist was tortured and murdered and his work was stolen and taken to the Vatican where it was used as a threat to destroy the Catholic Church, just as the Church once tried to destroy the Illuminati. He uses his knowledge of the Illuminati to find out where the kidnapped Cardinals are going to be found and how they would be murdered. He tries very hard to stop these murders and tries to save the scientist's daughter and partner from being murdered by her captor. It was an interesting story, that I was glad that I could use the audio with the book in order to find more time to read. This is a story that provided some interesting information about the Cern and the Vatican. I do recommend that this book not be listened to around children unless they can handle the harsh murder descriptions. This limited the time that I could listen (before children woke up and after they went to bed and when I was alone in the car). I am so excited to be sharing my review for D H Nevins latest fabulous novel, Angel of Shadow, Book II of the Wormwood series. 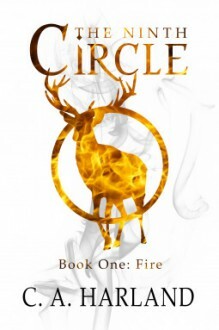 I loved the first book (see my review here). I love this awesome cover, done by Carlos Quevedo, which definitely foreSHADOWS the story inside. I loved the first book, Wormwood by D H Nevins, so I was very excited to get my hands on Angel of Shadow, and OMG…if was fabulous…unputdownable. It took D H Nevins five years to write it and it was worth the wait! The world and characters captured me and I am so eager to get back into the story and find out what Kali will do. In her dystopian world, she has some difficult choices to make. Her forbidden love for Tiamat…will it sway her decision? Good and evil. 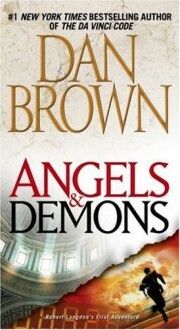 Angels and demons. If you think you know angels…think again. These angels are not ones you want knocking on your door. Tiamat is Nephilim. They were sent to wipe out humans from Earth in The Cleansing. But, when Tiamat met Kali, his world shifted. Can an angel disobey? Will he? Kali is half human, half demon. Tiamat is half human, half angel. When Kali is faced with death, her Shadow saves her, but at what cost? Is it a friend or foe? Can she control it, or will it control her? Each character, no matter the size of their role, is a valuable addition to the story. Not all will survive and I was especially saddened by one Nephilim’s death in particular, but I do like that an author is not afraid to kill off a character if they feel it is necessary. Life is not always happy ever after, so why should a novel be? Tension mounts and war approaches. Nephilim against Nephilim, demon against angel, where does Kali fit in? I am so happy that I have watched Supernatural, the TV show, because it allows me to understand and visualize the world that D H Nevins has created. I am eagerly anticipating Book III, And After The Shadow, Light by D H Nevins, which will be published in the fall of 2018. 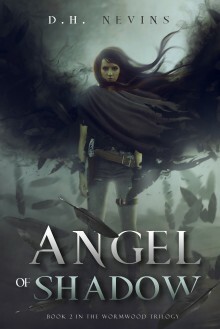 I voluntarily reviewed an ARC of Angel of Shadow by D H Nevins.